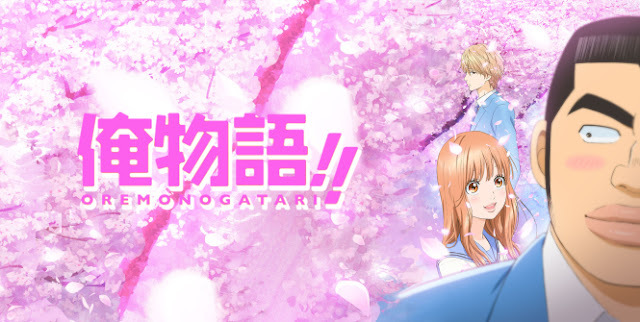 You might already have noticed that Ore Monogatari is not your common shoujo anime, and I would like to give a more detailed review so that more people starts watching this despite the hideous face on the cover. Believe me, this anime is really something! 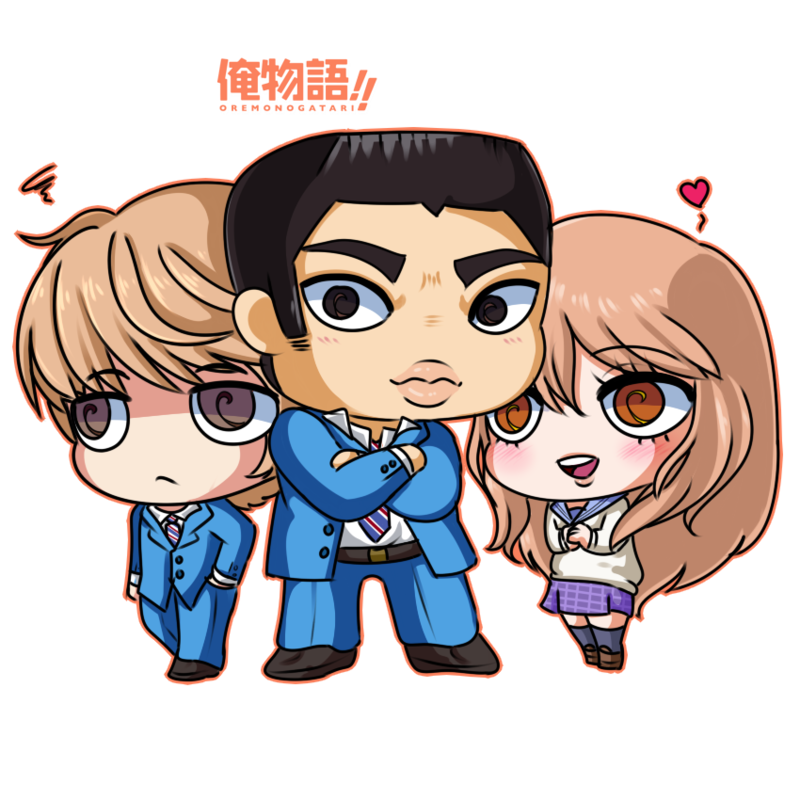 Ore Monogatari is a shoujo comedy that fits most people's tastes, maybe because it's not like anything else you've watch. However, if you're struggling with the idea of a gorilla looking protagonist, you could need some time to consider. 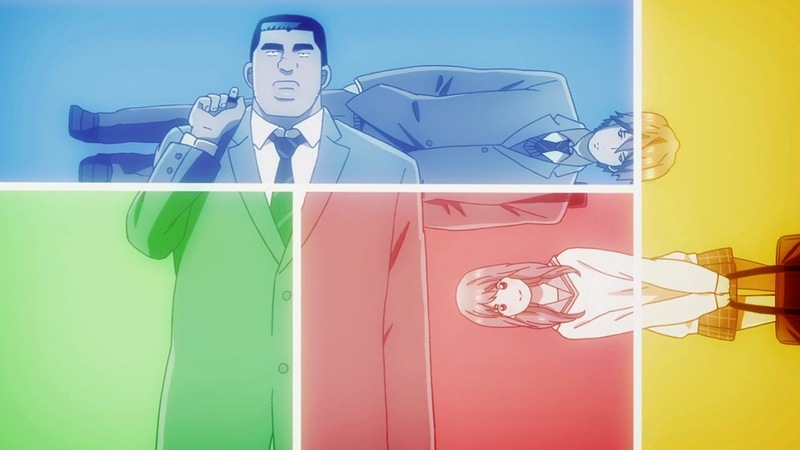 That shouldn't be too much of a bother, though, because Takeo is hilarious. This anime shows that looks really doesn't matter. Storywise Oregatari focuses on the same thing most shoujo anime do, and that is romance and comedy. Both of them are equally good in this story, and makes it really enjoyable. As the story keeps going, you'll find yourself fall in love with it more than expected. The drama is the exact kind of drama you'd see in most shoujo anime, however, it's a little special in this anime because of our hero. There will be many misunderstandings, but it's cute and you'll definitely enjoy it. However, Takeo is of course not the only reason to watch Oregatari, believe it or not! The heroine, Yamato, is a very sweet and timid girl. You've probably seen her character many times before, but she's got something special to her as well. You'll realize what after you start watching. Suna, Takeo's best friend, sounds like a real bother when introduced to you, but he's actually a really attractive character. For some reason, he's pretty pulled-back and doesn't show much emotion towards people other than Takeo. However, when you see him laugh together with his friend, you'll fall in love with him too. These three makes a great and refreshing trio. The girls are really cute, and the style fits perfectly for a shoujo anime. There's nothing to complain about, actually. It's great! Like me, I am sure fans as well are very much excited expecting a second season. Hello ! I've just finished watching the whole 24 episodes and i pray hard for a second season to come. It's a unusual shojo because despite of his looks, Takeo is really awesomely caring about Yamato and all his friends around him.